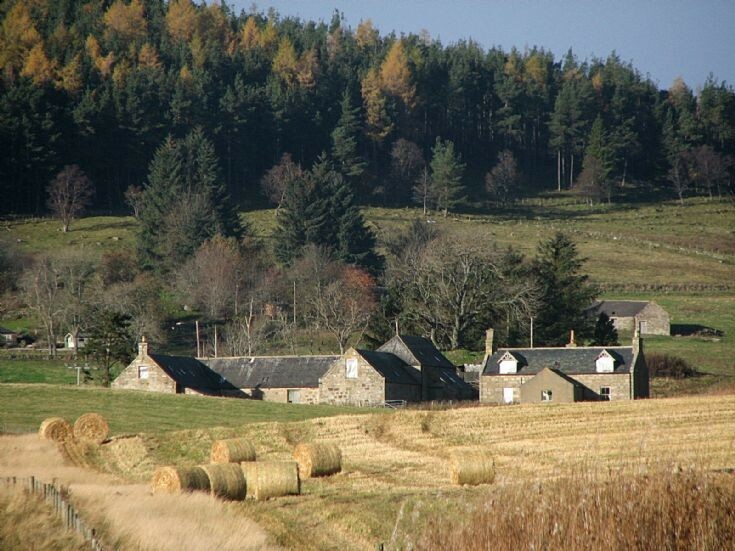 Impressive farm cottage and out buildings with threshing machine. It is now empty and derelict. There is a two storey house and U shaped steading still standing. Inside the steading is a threshing machine built by Wright Brothers Portsoy. There is also some writing on the machine but not as much or as old as the writing at Badenyon.